The Work at Height Regulations (WAHR) demand sensible risk management, the proper planning and organising of work, making sure that the people working at height are competent and that the right equipment is used and selected. Demonstration of competence is key, which is why the Association operates a national training scheme for users, supervisors and managers wanting to equip themselves with the knowledge, skills and confidence necessary to use ladders and stepladders safely and productively. 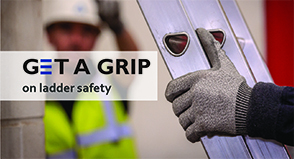 Completion of a Ladder Association training course provides the proof of competence demanded by the Work at Height Regulations. Courses are delivered only by Association approved training centres. To locate your nearest Ladder Association training centre, please click here[link]. 4 Carry out the basic inspection and maintenance of ladders. Upon successful completion, every delegate receives a certificate of competence and LadderCard as objective proof of competence. All Ladder Association training centres are audited to ensure their continuing compliance with the high standards involved. 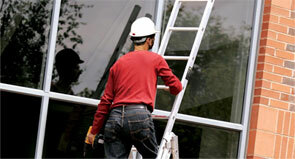 For more information about Ladder Association training, please click here. The Association has prepared a series of real-life case studies describing the experiences of five different training course delegates.